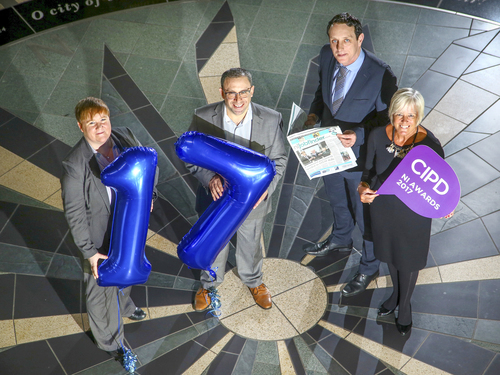 Outstanding achievements within the HR profession will be celebrated at the CIPD Northern Ireland Awards gala 2017. Titanic Belfast hosts the awards for a second year for an event which is now firmly established as the key awards gala for the Human Resources profession in NI. At the gala on May 18th, awards will be presented to teams, individuals and organisations, highlighting the depth of excellence within the profession in Northern Ireland. Recruitment specialists Grafton are the principal sponsor. Once again there will be 10 category prizes. The categories are: Best Change Management Initiative, Consultant or Consultancy Team of the Year; HR Team of the Year; Best Employee Engagement Strategy; HR Director of the Year; Health and Wellbeing Award; Most Effective Organisational Learning and Development Strategy; Outstanding HR Student of the Year and Talent Management Programme of the Year. And CIPD NI’s Executive Committee will also be presenting the Chair’s Special Achievement Award, which will recognise an individual, team or organisation who has made a significant contribution to the profession here. In all categories the judges will be looking for clear evidence that a particular people management and development initiative or project contributed to organisational sustainability and success plus innovation and creativity that set standards of best practice and measurable results. Lynn Carson, Chair of CIPD NI said she is delighted to host the Awards in Titanic Belfast for the second year running. She explained the awards provide a fantastic opportunity for Northern Ireland’s HR, L&D and personnel development professionals to gain recognition for the quality of the work and innovation they are delivering across the private, public and voluntary sectors with the standard of entries getting higher and higher each year.